Running a health challenge shouldn't be a full-time job. We make it easy to organize and execute your organization’s next Health challenge. Healthy teams of healthy people. By focusing on positive habits instead of negative attributes, MakeMe® challenges see a high percentage of participation from many types of people, from very unhealthy to extremely fit. When organizations use MakeMe® for their health challenges, participants actually participate. Our health challenge makes the process of adopting healthy habits simple and fun. Using MakeMe® gives your organization lots of reasons to celebrate. You’ll have comprehensive data on team communication, individual participation, team participation, organizational impact. You’ve been given the task of putting on a health challenge for your organization. We know this is no simple task. It can take hundreds of hours and many months to create, organize, promote, execute, and report on even a small health challenge. MakeMe®Pro makes it simple to run an effective (and fun!) health challenge. 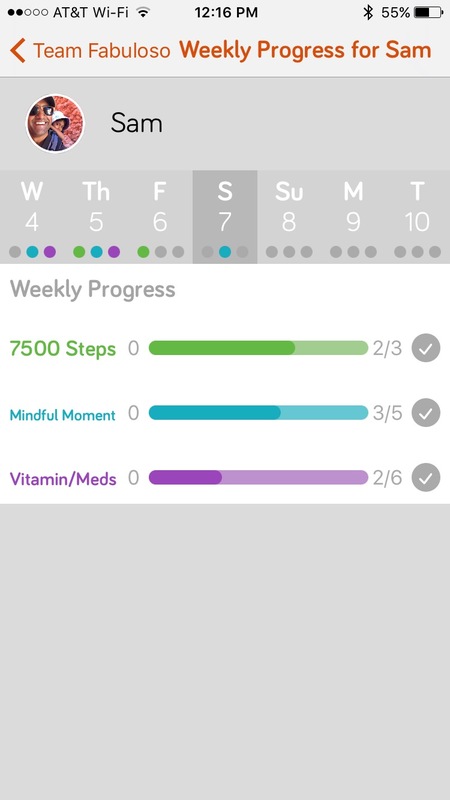 Dozen of groups and tens of thousands of people have used our intuitive app and Multi-Action Prove It Framework to make it easy for their people to adopt healthy habits. Organize, execute, and report on your next health challenge using MakeMe®. In the MakeMe® app, employees can easily see the activities they need to log in the Challenge. Employees simply tap the activity to prove they did the activity using photos, text, questionnaires, QR Codes, or counters. Employee challenge activity is posted to their team for connection and support from co-workers. Sometimes, a little friendly peer pressure is just what's needed to keep everyone on track for real results. Employee activity in the challenge is logged instantly enabling everyone to see how they're doing and what they have left to complete in the Challenge. We collect this data into team and individual leaderboards so you don't have to do any calculations. Goodbye excel spreadheets! Hello instant motivation and accountability. Sign up below and one of our team members will give you a tour of the MakeMe® app and answer any questions you have.